Attorneys Rhett McSweeney and David Langevin are providing free legal consultations to individuals and families injured or harmed as a result of the use of Ondansetron, marketed as Zofran, a commonly prescribed anti-nausea medication manufactured by GlaxoSmithKline. If you or a loved one has been injured by the use of Zofran, call 1-877-542-4646 or use our private contact formto receive a free, confidential legal consultation. This drug has been marketed as, ondansetron, Zofran, Zofran ODT, and Zuplenz. 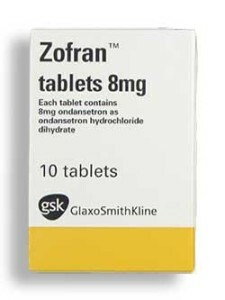 Zofran is an anti-nausea drug that was introduced by GlaxoSmithKline in 1991. While the drug is not FDA approved for use in pregnant women, approximately one million women are prescribed Zofran and its generics each year to deal with morning sickness. This type of unapproved use is called “off-label“Off-label use is legal, but it can lead to dangerous results. Zofran use during pregnancy may lead to serious birth defects. Since 1991, the FDA has received hundreds of reports of birth defects in children born to women took Zofran to help with morning sickness. Data about whether ondansetron causes birth defects is still inconclusive, butseveral studies have shown a correlation between Zofran use and an increased risk of birth defects. March 2016: Last month Zofran manufacturer, GlaxoSmithKline (GSK), requested that the court throw out all Zofran lawsuitswithout allowing families to prove their case. Judge F. Dennis Saylor IV refused GSK’s request. In doing so, he said he was “loath to dismiss” the claims without giving the families a chance to develop the facts of their cases. Because of Judge Saylor’s decision, families will be able to continue in the discovery process which will allow both sides to investigate exactly what type of connection may exist between Zofran use and birth defects. If you or a loved one were prescribed Zofran for morning sickness and subsequently gave birth to a child with birth defects, you may be entitled to compensation for medical bills, lost wages, pain and suffering and other damages. Feel free to contact a Zofran attorney at 1-877-542-4646 or by using the form below. Your information will remain confidential and a Zofran lawyer will provide you a free legal consultation. An asterisk (*) indicates a required field. Our Zofran attorneys handle cases throughout the entire United States: Alabama, Alaska, Arizona, Arkansas, California, Colorado, Connecticut, Delaware, Florida, Georgia, Hawaii, Idaho, Illinois, Indiana, Iowa, Kansas, Kentucky, Louisiana, Maine, Maryland, Massachusetts, Michigan, Minnesota, Mississippi, Missouri, Montana, Nebraska, Nevada, New Hampshire, New Jersey, New Mexico, New York, North Carolina, North Dakota, Ohio, Oklahoma, Oregon, Pennsylvania, Rhode Island, South Carolina, South Dakota, Tennessee, Texas, Utah, Vermont, Virginia, Washington, West Virginia, Wisconsin and Wyoming. Our transvaginal mesh attorneys handle cases in the following cities: New York, Los Angeles, Chicago, Houston, Philadelphia, San Diego, San Antonio, Dallas, San Jose, Detroit, Jacksonville, San Francisco, Indianapolis, Austin, Columbus, Fort Worth, Charlotte, Memphis, Baltimore, El Paso, Boston, Milwaukee, Denver, Seattle, Nashville, Washington, Las Vegas, Portland, Louisville, Oklahoma City, Tucson, Atlanta, Albuquerque, Fresno, Sacramento, Long Beach, Mesa, Kansas City, Omaha, Cleveland, Virginia Beach, Miami, Oakland, Raleigh, Tulsa, Minneapolis / St. Paul, Colorado Springs, Honolulu, Arlington, Wichita, St. Louis, Tampa, Santa Ana, Anaheim, Cincinnati, Bakersfield, Aurora, New Orleans, Lexington, Pittsburgh, and Buffalo. Copyright © 2019 McSweeney/Langevin All Rights Reserved.